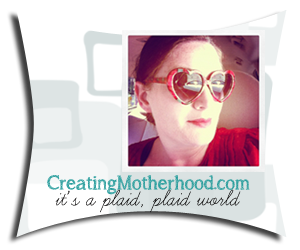 Today, Dresden from Creating Motherhood is explaining her support of President Barack Obama. Check out what she has to say below! And as always, feel free to comment. But remember to be respectful. I know politics can get people excited, but hateful comments WILL be deleted. Do you affiliate yourself with a party? Which one? For years I felt very firmly that I should not affiliate myself with any one political party. The Bush/Kerry election changed that for me. I did the unthinkable – in a tiny Alabama town with wall to wall Republicans I registered as a Democrat. 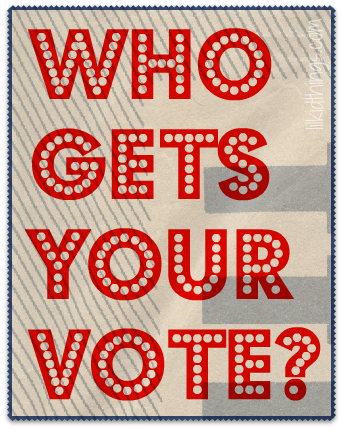 Do you know who you will vote for in the Presidential Election yet?/Who? Yes. I will be voting for Obama. Why did you choose this person / or why are you still undecided? If you had asked me this question in 2008 I would have told you some incredibly passionate answers about why I was voting FOR Obama. I was very emotionally invested in that election and had so much hope. I am voting for him again and hoping that he can continue the work he has begun. I also will vote Obama because I am a woman and I am terrified of the opposing ticket’s stance on women’s issues. Why do you think your candidate is the best choice for parents? If undecided – what issues are you concerned about as a parent? With President Obama my family was able to eat, my child has health care, and my reproductive rights have been protected. I am very worried about what will happen to our family should a candidate that is so incredibly out of touch with America end up in the White House. Do you feel like your candidate is misunderstood? I feel like my candidate has become modulated while he has been in office. I also feel like many of his accomplishments have gone unnoticed — specifically the strides he has made with civil rights and anti-discrimination. I mean – the Lilly Ledbetter Fair Pay Act?? HUGE!! Why? Achieving things in DC isn’t as newsworthy as Jennifer Aniston getting engaged. If you could sum up your candidate in 3 words, what would they be? / OR if undecided – what 3 words would sum up the perfect candidate for you? Thank you for sharing your honest opinions Dresden!